Westchester Exceptional Children's School is asking for your support and participation in our ongoing fund-raising programs. With your help, our school can generate the money that is very much needed! WEC has started a GOFUNDME! WEC hopes buy a school Van to enable teachers to take students on trips to enrich their learning experiences. This would also enable job coaches to transport students to community based job sites in order to provide a wide range of work skills to secure and maintain employment when the students graduate. Click below to help our children succeed! Their support has enabled us to use new, break-through technologies with our students and enhanced their experience at the Westchester Exceptional Children’s School. 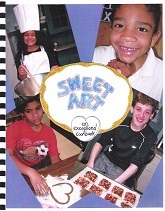 In 2012 WEC put together a cookbook that our students helped create. Our cookbook is now being sold for fundraising and we are excited to be able have them available for purchase by the public. 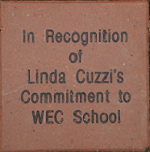 WEC School is now selling dedication/recognition/business ad space for our full-color yearbook. All our WEC families, teachers, staff and community members are invited to purchase an advertisement in our ad section to raise funds for the production costs of the yearbook. Any size ad space can turn a child’s yearbook into a special keepsake. This yearbook is very special. To place an ad in our yearbook this year please click below to download a copy of the form and please fill it out and send it back to WEC by mail, email, or CD. Please save the General Mills Boxtops with the Education logo for us. for Education logos for us. Please save your used Inkjet Cartridges for us as we recycle them for money at Staples. Please consider writing "Westchester Exceptional Children's School" under "Other"
when a United Way campaign pledge care is presented for your selection at your workplace. The United Way accommodates employees who want to support WEC through their workplace campaigns - even though WEC is not a United Way agency. WEC benefits from the donor choice programs of United Way of New York. 4x8 Brick has 1 to 3 lines. 8x8 Brick has 1 to 5 lines. Each line has 14 characters (including spaces and punctuation). To order, please fill out and return this Engraved Brick Order Form. If you have any questions, please call us at 914-277-5533.